Did you know that the first cakes baked in America where small loaves of sweet bread? Look how far we have come. Home bakers should not be intimidated by the elaborate cakes being made today. 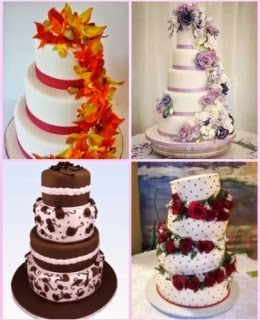 You do not need to be a pastry chef to make beautiful cakes, you just need the know-how and practice. Of course the right tools will go a long way in your cake decorating endeavours. Here are a few ideas you might like to try. Use an icing spatula to apply and smooth the second coat of icing. Once the icing is on the cake, start smoothing on the sides by running the spatula around the perimeter of the cake. One trick for smoothing the frosting is to dip the metal icing spatula in cold water, this will aid in smoothing the frosting. To smooth the top, dip the spatula in cold water and holding it horizontally over the top of the cake. Start at the point farthest from you, holding the spatula in both hands, skim the top of the icing by bringing the spatula straight toward you.